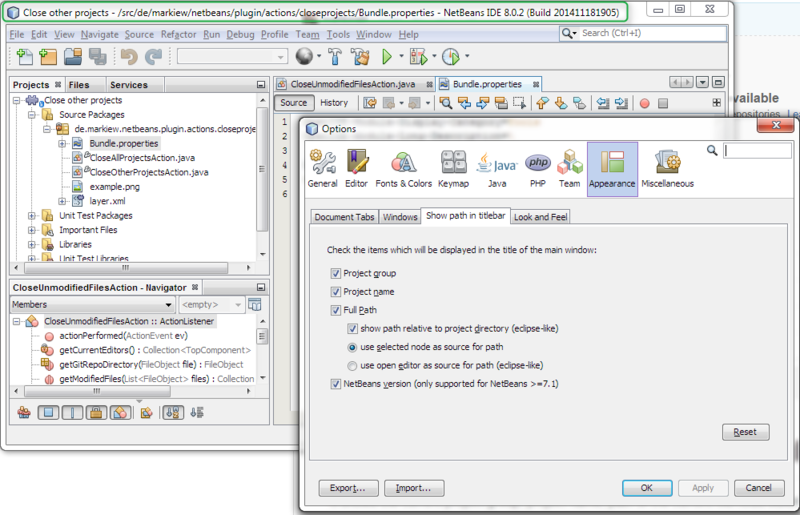 It shows the current project group, project name, path of the current file/node/editor and IDE version in the titlebar of NetBeans. [internal] use another non-API approach get the name of the project group. Fortunately this allows the plugin to be compatible to older NetBeans versions. [feature] shows full path when project is selected - useful in conjunction with option "use selected node as source for path"
[fix] prevents empty title - default is "NetBeans"